Scientists are busy people, but every year thousands donate many hours of their time without payment to advise Congress and federal government agencies. They provide input on all kinds of issues, from antibiotic resistance to mapping the world’s oceans in three dimensions . The Trump administration has raised alarms by signaling that it is determined to replace scientific advisers who are not in line with its political philosophy. Environmental Protection Agency Administrator Scott Pruitt is replacing most of the members of EPA’s Board of Scientific Counselors and, very likely, its Science Advisory Board . Interior Secretary Ryan Zinke has suspended the activities of numerous advisory panels , including many scientific committees, pending review of their purpose and composition. Will Trump Cabinet members really be able to shift the scientific advice on which their agencies rely? And how should scientists respond? Over the past 35 years I have served on numerous federal scientific advisory panels, including EPA’s Science Advisory Board, and many committees and boards of the National Academies of Science, Engineering and Medicine . In my view, the history of past purges shows that stacking the deck with like-minded advocates is self-defeating. That’s true whether those advocates come from industry or nongovernmental organizations – and especially if they represent only one political party. Recommendations from these “friendly” panels will not win broad support from the scientific community, and I predict the committees will quickly lose their credibility, legitimacy and influence. Consequently, policies and regulations based on the panels’ recommendations will be less likely to withstand public or political scrutiny and be more open to legal challenges than if they were based on more balanced input. It is important to have processes for watching the watchers who provide scientific advice. Federal advisory panels operate under laws and rules that are designed to assure their objectivity. The National Academies, which produce studies for Congress and federal agencies, recognize that scientists are human, so some bias will always exist. Therefore, they seek a balance of perspectives within study committees, and invite scientists from industry and former government service as well as from academia to serve on these panels. Typically, members must describe their employment and financial interests and reveal any potential biases to the other members at the start of the committee’s work. In my experience, scientists from the private sector brought helpful perspectives when they engaged in objective technical deliberations. Drafting of National Academy reports is a group process that allows committee members to correct unsubstantiated conclusions and recommendations that are based on subjective opinions or self-interest. The reports are reviewed by external peers , as are reports from many federal advisory committees. During my service on federal advisory committees, I can scarcely remember a time when the party affiliation of scientists serving came up, even in social conversations. Of course, participants are generally aware of the political implications of their work. However, in my experience they typically participate in objective discussions and report writing in a manner that is not shaped by partisan or political goals. For example, I participated in a National Academies committee that issued carefully verified and worded conclusions in 2008 about risks that climate change posed to restoration of the Everglades. Last year the report of this committee provided more specific recommendations for addressing the effects of future water shortages and sea level rise. The responsible Florida state agency has now threatened to stop cooperating with the independent scientific review , accusing the committee of “unscientific meddling.” But members agreed that, despite the political sensitivities regarding climate change, their recommendations were highly pertinent to sustainable restoration. Sometimes, however, administrations try to stack the deck. In March of 1983 I was one of seven scientists rejected by Interior Secretary James Watt for reappointment to a committee that advised the agency on studies related to offshore oil and gas development. I learned that the Republican National Committee had checked our voter registration, and my status as an independent apparently disqualified me. When Watt’s successor at Interior, William P. Clark Jr., discovered the appointments impasse and recognized the credibility problem, he appointed some of the scientists who had been “blacklisted” to a revitalized committee, including me. However, he excluded candidates who had been approved by the Republican National Committee. I was elected chair and served on the committee until 1987. 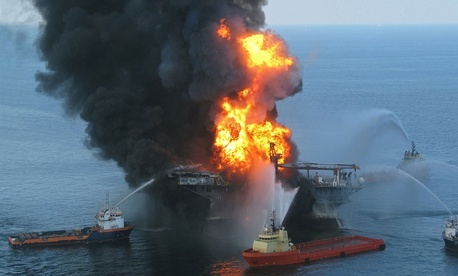 In 1990 I moved from Louisiana to Maryland, and had little involvement with offshore oil and gas issues until 2010, when I was appointed by President Obama as one of seven members of the National Commission on the BP Deepwater Horizon Oil Spill and Offshore Drilling . This was a high-level commission charged with investigating the root causes of the disastrous 2010 oil spill and recommending ways to make offshore drilling safer. Before receiving the appointment, I was subjected to “extreme vetting” that probed my publications, statements to the media, financial interests and even my driving record. My political party registration never came up. To chair the commission, Obama selected former U.S. Senator Bob Graham of Florida, a Democrat, and former EPA Administrator William Reilly, a Republican. These past efforts show that filling committees with “friendly” advisers doesn’t really work. Biased conclusions and unsupported recommendations are sure to be called out by the scientific community and thus will have little power in the democratic debate. Of course, purging scientific advisory committees is just part of what many observers see as a broader war on science . This attack also includes advocating policies that reject solid scientific consensus , proposing “red team” assaults in place of rigorous peer review, proposing drastic reductions in federal funding for science and medical programs, and the resulting loss of scientific talent in the nation and capacity in federal agencies. These threats have much more serious consequences for American science and the nation. Facing these threats, scientists should not disengage from providing the nation with objective analysis and recommendations. Rather, we should take the long view and be prepared to seize opportunities to advise, as well as to challenge and dissent when needed. Now more than ever, scientists should take these responsibilities seriously rather than cynically.